Exactly three weeks ago, we reported on a memo released by Republicans on the Intelligence Committee of the U.S. House of Representatives. The memo was related to how in 2016, U.S. government investigators got court approval to spy on a former advisor to Donald Trump's presidential campaign. Republicans said the memo showed that U.S. investigators abused their power to do that. Democrats said the memo was misleading and that the whole truth wasn't being told. So, Democrats on the House Intelligence Committee produced their own memo. 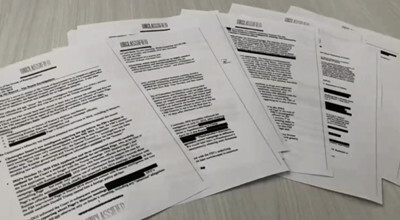 At first, President Donald Trump refused to declassify or allow it to be published, saying it needed to be heavily redacted first. After some changes were made, the Democratic memo was released over the weekend. The Republican memo said investigators used unproven information to get the court's approval to spy. The Democratic memo says the unproven info was part of what investigators presented to the court, but that they gave other credible information as well. The Republican memo says government investigators did not tell the court that the info they presented came from a source who is biased against Donald Trump and that it was partly paid for by Hillary Clinton's political campaign. The Democratic memo says investigators did tell the court that the source was biased, and that he was collecting information for someone who wanted to discredit Trump's campaign. Republicans generally stand by their party's memo. Democrats generally stand by their party's memo. So, how people are responding depends largely on where they side politically.